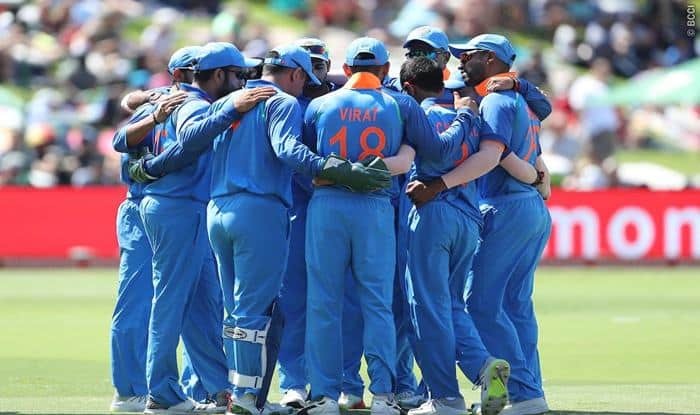 India vs Australia 2018-19, 1st ODI Sydney: Hit hard by an unexpected controversy after the high of the Test triumph, India will look to fine-tune their World Cup preparations in the three-match ODI series against an under-fire Australia, beginning on Saturday in Sydney. Hardik Pandya and KL Rahul has provided a big distraction for the Indian team by making “inappropriate” comments on women during a TV show. In the build-up to the first ODI, skipper Virat Kohli underlined that the team management is still waiting for a decision to be made regarding a ban or punishment to be meted out to the two players. The team management didn’t announce a shortlist for this game, as is now the norm, and will wait to hear from the BCCI on the two players’ availability. Considering the enormity of this developing situation, it is unlikely that both Pandya and Rahul will be available for at least the first ODI. Rahul was unlikely to get a go owing to both his poor form and the presence of a well-settled opening pair in Rohit Sharma and Shikhar Dhawan. The bigger question though is regarding Pandya’s absence, for the all-rounder provides crucial balance to the ODI side with his ability to bowl 10 overs as well as bat in the middle order. Pandya’s absence could mean that India might have to rejig their bowling attack. Jasprit Bumrah has already been rested for this series, as well as the tour of New Zealand, and this allows the think-tank to conduct one final experimentation with their bowling attack. Kohli also stated that, in Pandya’s absence, Ravindra Jadeja would step up as the all-rounder. In that light, he would partner up with left-arm wrist spinner Kuldeep Yadav as India’s five-pronged attack, with Kedar Jadhav fulfilling any part-time bowling duties if needed. With the two openers and Kohli at number three, the remaining batting line-up picks itself. Jadhav, MS Dhoni and Ambati Rayudu will form the middle order, and there will be keen interest in the latter duo’s form here. Dhoni had an off-colour 2018, managing 275 runs in 20 ODIs at average 25 without a half-century. While this is a meagre return for a batsman of his stature, the worrying aspect is Dhoni’s strike-rate of 71.42, which is remarkably lower than his ODI career strike-rate of 87.89. The Indian middle-order has often come unstuck with Dhoni at the crease, and the team management will be hoping for a fiery start to the year from the stalwart. India’s ODI record in Australia is quite poor. Apart from the 1985 World Championship and 2008 CB Series wins, they have lost 35 out of 48 ODIs played against Australia on their home soil. The absence of David Warner (220 runs in three matches in 2016) and Steve Smith (315 runs in five matches in 2016) might help them again though, as also the absence of Mitchell Starc, Pat Cummins and Josh Hazlewood, with the trio rested from this series.